Chess is a game that offers players a brilliant mix of intellect with tactfulness. Being one of the most loved games throughout the history of mankind, chess has been the theme of many movies that have graced the silver screen. 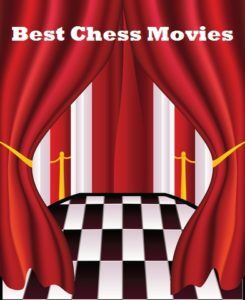 While all sports have received their equal share of recognition on the silver screen, chess has been host to a lot more movies than any other game. Being cherished as one of the best board games ever, chess has through its aesthetic look and tactful planning, garnered quite a fan base. 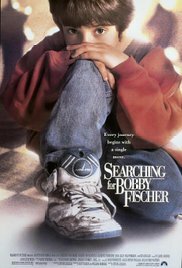 The movie which is a rendition of a book by the same name written by Fred Waitzkin is a very inspirational and fictional account of the life of chess prodigy Josh Waitzkin. The writer is the father of the legend Josh Waitzkin. Josh, as a 7 year old boy, starts developing a liking towards the game and keeps proving that he is extremely talented. Josh keeps complimenting his talents through his coveted awards and becomes one of the biggest young talents across the USA in the game. As he starts climbing the stairs to eternal success, Josh starts realizing that success and happiness don’t go hand in hand. The concept that success opens the doors to happiness is just a sheer misconception. The movie has achieved much appreciation for its cast and the cinematography, which delivers the point in a beautiful way. The elite cast of the film includes Joe Mantegna, Ben Kingsley, and Joan Allen. The film directed by the acclaimed Swedish director Ingmar Bergman is one of the most appreciated movies to be made. The director creates a very brilliant timeline for the movie and successfully inculcates the theme of chess within it. The move narrates the story of a knight who returns after being victorious during the battles in the crusades. When the knight returns, he finds his country under the sphere of the Black Death. The knight comes across Death himself and in a tactful move to gain some time, the knight challenges Death to a game of chess. The result of the game of chess would eventually go on to decide the fate of the Knight. The movie is directed and compiled brilliantly. One small blooper is that during one of the scenes, the chess board is set up the wrong way. The film which is directed by Richard Dembo is the perfect representation of rivalry within sports. The film takes the viewers back to the days of 1983 when there is a huge dispute for the championship. The dispute is between two Soviet masters: Pavius Fromm, who is a Lithuanian refugee and a Jew with a huge ego, Akiva Liebskind. The story itself originates from actual events which happened during the stiff rivalry between Victor Korchnoi and Anatoly Karpov. A more recent addition to the list, the documentary was made during 2003. The events of a 1997 bout are covered with great detail during the course of the documentary. In 1997, Gary Kasparov, who was the greatest chess player of that time, accepted the challenge from IBM to a fair game of chess with its computers. The documentary revolves around the perspective of Kasparov and shows all the happenings during the match and behind the scenes through his viewpoint. Gary Kasparov suffers a defeat at the hands of the IBM computer and acts like a sore loser by labelling the computer as a cheat, which disrupted the fair functioning of the game. The movie with its rich cinematography is directed by Vikram Jayanti. The film Chess Fever is a 1925 classic from the Soviet Union. The Chess Fever is a silent film, but the use of different concepts work wonders in making the film reach out to every chess fan. Regardless of being a silent film, every chess fan would have a fair amount of fun while watching it. The movie revolves around a man who has a very worrying obsession for chess. The obsession grows to such an extent that there are chances that it might affect his marriage. An interesting turn of events makes him come across the then champion Jose Raul Capablanca, at the meet of the champions in Moscow. The man narrates all of his problems to Jose Raul Capablanca, who eventually helps in saving his marriage from the depths of failure. The film is very realistic and shows many other chess greats of that time as well. The chess greats who were the part of the tournament are, Emanuel Lasker, Richard Reti and Frank Marshall. This work of art which comes across as a documentary follows the success of a chess team studying at the intermediate school no 318. The school is a public middle school within the state. The team is shown to have developed as one of the best across the whole country. The Brooklyn Castle while achieves perfection through brilliant cinema scores, makes all the members of the squad reach out to the audience in a brilliant way. The film follows the team around across all their ventures and records all of their successes. The successes of the team are through the combined effort of the school and the teachers present along with them. The movie made in 1977 shows life during the British rule in India. As terror surrounds the area and the imminent threat of India being overpowered by the British gains pace, the film shows the life of two gentlemen indulged in the game of chess. Not interested in their surroundings, the two gentlemen are engrossed in their game of chess and don’t lend a year to any other discussion. Happenings within the country start to worsen and the men are made to go into the open from the warmth of their homes. The change in the abode does not deter their spirits as the two men continue their passion for the game by continuing to play it. The film shows the men each having a gun in their control for when the British arrive, but if need be, they could even oppose themselves. Made in 2010, the movie Ivory Tower is a brilliant tale of rivalry and love, all displayed through the game of chess. The movie revolves around the story of two brothers namely Hershell and Thadeus. The movie shows the rivalry they have for each other on both the chessboard and for a woman. Hershell goes to Europe for 4 years to pursue jazz chess; he returns back to see his brother Thadeus become a Canadian chess champion, and the future husband of his former sweetheart Marsha. Hershell is taken aback by his brother’s steps and challenges him to a match in the Canadian chess competition. During the match, Hershell shows a zen like demeanour, which surprises Thadeus who gears himself up for a certain defeat through the hands of the prodigy his brother had become. Instead of showing Thadeus the taste of a loss, Hershell displays his jazz chess skills by enforcing a draw within the game. Marsha is particularly impressed by how Hershell shows such a gentlemen like behaviour, but she walks out of the room because she did not like the idea of becoming a trophy for both the brothers. Set during the days of the late 1920s, the Luzhin Defence shows a tail of sorrow, when two contrasting heads collide. Luzhin who had a particular interest in chess as a child was a certain legend in the making. In childhood, his talents within the game were overshadowed by the continuously failing marriage of his parents. The Luzhin Defence shows the story of Luzhin, who grows up to become a chess grand master and an extreme prodigy of the game. He goes to the Italian lakes to take part in the game of his life, but ends up finding the love of his life. Natalia, the woman Luzhin had fallen head over heels for, was already matched by her family to a very suitable person. Natalia is attracted to Luzhin at first glance and offers the erratic genius a retreat outside the serious world of chess. The conflicting interests become too much for Luzhin to handle and the movie ends on a tragic note. There have been many masterpieces that have been released by wonderful directors, emphasizing on the beauty of the game of chess. All the movies have a certain amount of class in them, something which spurs from the game itself. Chess is one of the classiest board games to ever have been played, and the movies released regarding the game keep its legacy alive.